In the personal injury field, we typically deal with some type of an acute injury. The acute injury pattern is one that hopefully has a beginning phase, a treatment phase, and a recovery phase. How should the plaintiff’s lawyer approach a chronic pain case where the client does not really fit into any of these phase situations? The first task is to get a proper diagnosis from the treating doctor on what the client’s injury actually is and how it will affect them for the rest of their lives. Usually, the diagnosis will come from the treating physician and then a pain management specialist. Often, the treating doctor will have referred your client to a pain management specialist after the normal modalities have failed to get the desired results. Obviously, there are different types of chronic pain. I am not going to try to address all of the different types of chronic pain in this article. It should be noted that there are a number of articles and opinions about chronic pain and psychopathology. It is not my intent in this article to address those approaches. In this article, I will address the damages for neuropathic pain and the complex regional pain syndrome type of client. Usually, the diagnosis of chronic pain syndrome comes after the treating doctor has tried a number of modalities to reduce or eliminate the client’s problem. This involves medications, injections, spinal manipulations (for the back injury type of case) and/or surgery. Frequently, these treatments give only a temporary or limited relief and the client ends up with a long-term prognosis of chronic pain. The client is then referred to a pain management specialist for the handling of the long-term chronic pain problem. Complex regional pain syndrome or CRPS is usually a complicated diagnosis that might take many months or years to reveal itself. The general rule to diagnose CRPS occurs when a small injury results in serious, ongoing pain complaints that are out of proportion to the injury. In the United States, the management of chronic pain has become a significant public health issue because it is costly and really tough on the clients’ quality of life. Therefore, when assessing your client’s damages in the future, you must seek not only damages for the costs of such care, but also assess the damages for the loss of enjoyment of life. This damage assessment can be presented by videotape “day-in-the-life” type of evidence. Many times, a day-in-the-life video will be able to show the day-to-day limitations that your client suffers as a result of the chronic pain that they are dealing with. Physical pain, mental suffering and emotional stress, non-economic damage: Past and future physical pain/ mental suffering/loss of enjoyment of life/disfigurement/physical impairment/inconvenience/grief/anxiety/humiliation/ emotional distress or other damages. In preparing a chronic pain damages case, you should think about specific examples in your client’s life that reflect real-life application to the “loss of enjoyment of life” portion of CACI 3905a. In my experience, people who have suffered with chronic pain have lost much of their enjoyment of life. Examples might be playing with their children when the children are young. Another example is the inability to sit through sporting events, recitals or school events because of the pain and discomfort they must endure on a daily basis. If you think about it, the chronic pain client has lost an enormous part of their life and everything that makes life special and wonderful. The chronic pain client not only fails to show up for their friends, spouses or kids, but even when they do show up, they are miserable and usually have to leave early. All of these losses can be explained by the pain management doctor as well as by a spouse, family and friends of the injured client. I believe the non-economic damage portion of these cases is potentially enormous. Depending upon the client and their station in life at the time of the injury, the long-term ramifications of these types of cases are just devastating to the clients. Think about a mother with young kids in an accident that results in long-term chronic pain. The young kids are affected on a daily basis almost every hour of every day. The young spouse has to pick up where the mother cannot and the whole family suffers. The young father who is injured and suffers daily pain, many times is unable to return to work or his career. In these cases, not only is there a loss of income to the family, but the measurable damages to the spouse and the kids as a result of the young father who cannot play catch with his son or teach his son or daughter how to ride a bike, etc., are enormous and need to be explored in these types of cases. Another aspect of the chronic pain client is that they are more susceptible to future harm and injury as well as a possible shortened life expectancy. The defense might try and use the shortened life expectancy to try and reduce the amount of future non-economic damages. Don’t fall for that one. If the defendant’s negligence has caused the person to have a shortened life expectancy, they are on the hook for that loss. It should be described and articulated as part of the damages in your case that not only have they suffered and will continue to suffer, but they actually shorten the amount of time that they would have with their family. The impact on chronic-pain plaintiffs is truly devastating to all aspects of their lives. Be sure to spend some time with these clients to really get to know the whole picture. Often, the magnitude of the loss won’t really be revealed until you visit them at their home or see them in their environment with their spouse or kids in regular day-to-day life situations. I always attempt to interview family and friends of chronic pain plaintiffs to get an idea of what they were like before the accident and what they are like now. This additional testimony from others can help you prepare a full damages presentation for the jury. Geoff Wells practices complex personal-injury law with Greene Broillet & Wheeler, LLP. Geoff is an elected member of the American Board of Trial Advocates. He also is a member of the Consumer Attorneys of California, American Association for Justice and an officer of the Consumer Attorneys Association of Los Angeles where he currently serves on their Board of Governors. 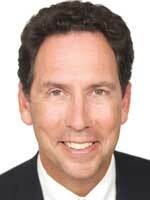 Since 1995, Geoff has served as an arbitrator for the Superior Court for the County of Los Angeles. He is a frequent lecturer on trial preparation and practice in California. Other professional organizations that Geoff is a member of include the Los Angeles County and American Bar Associations, Santa Monica Bar Association and Eighth Street Trial Lawyers.